I’m among a mass of press at Google’s San Francisco headquarters for a special Google Labs press event. R.J. Pittman, Director of Product Management, Radhika Malpani, Director of Engineering and software engineer Andy Hertzfeld are presenting. My real time notes are below. Look for a new advanced image search product, Google News and other news. “Scarcity breeds clarity” says Pittman, talking about Google’s culture of experimentation that persists even in these troubled times. And the real time internet, blogs, tweets, etc., are accelerating innovation. 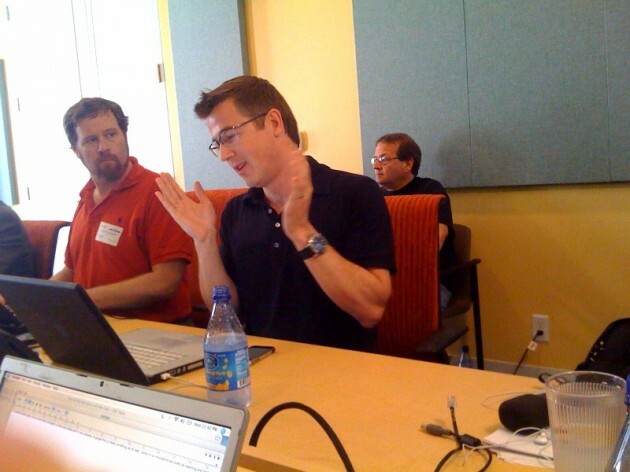 Pittman’s talking about previous Google Labs products, Streetview, Picasa facial recognition, audio indexing (search for spoken words in video) and Google translate. 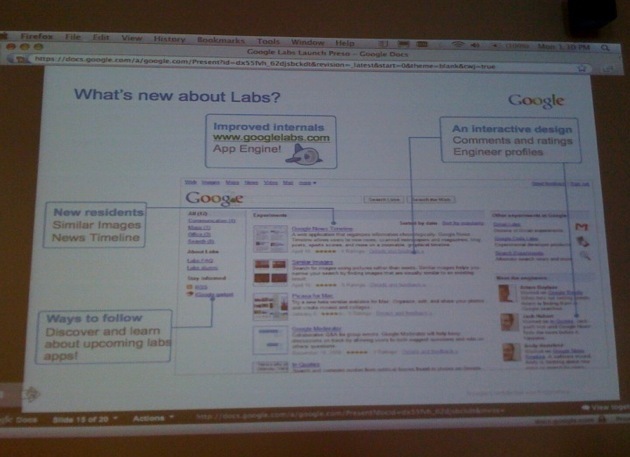 Google Labs is focused on creating early prototypes and getting them into consumer’s hands as quickly as possible. With feedback products are quickly iterated or put out to pasture. 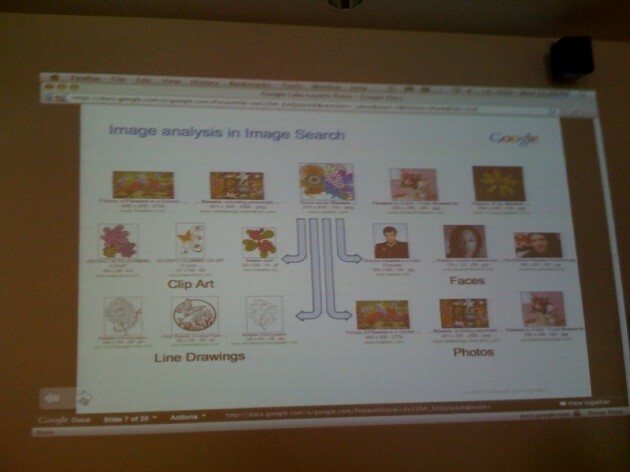 Radhika Malpani is now talking about image search. A week ago Google expanded search to allow users to search by color. 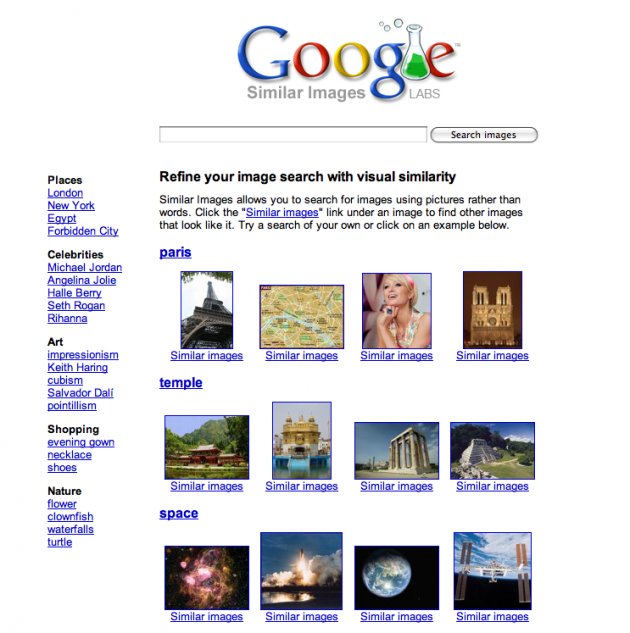 Now, Google will allow users to refine content of a specific image. See chart below. In the demo, Malpani searched for beaches and rocks and clicked on the similar images link to find lots of new images. There’s some metadata analysis, she says, but its mostly based on image analysis. Google is releasing this early, Pittman says, to get feedback from users right away. The new service is available here. Google’s blog post is here. 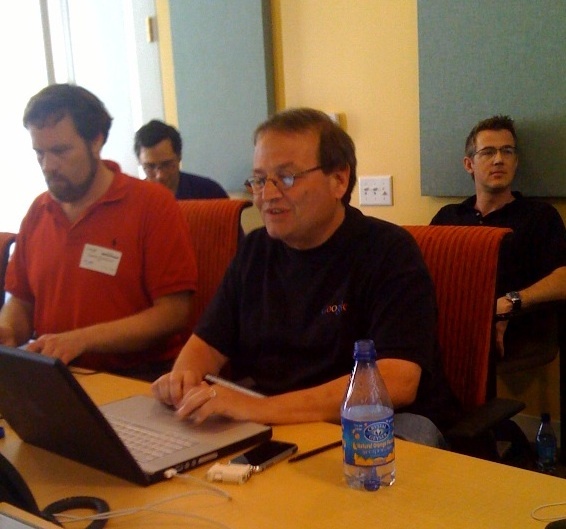 Next up is Andy Hertzfeld, who’s been at Google for 3.5 years, to launch a new product, Google News Timeline. News is often grouped by time. 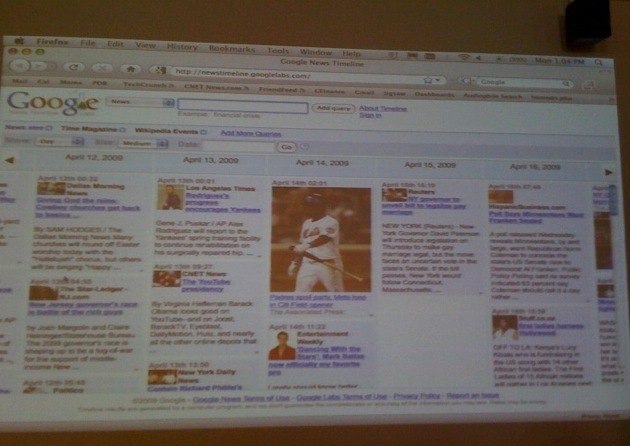 Through the new interface organizes information chronologically by presenting results from Google News and other data sources on a zoomable, graphical timeline. You can navigate over time by dragging the timeline, setting the time scale or just adding a time period. Google is partnering with Freebase to obtain structured data. The product is an amazing way to look at lots of news data and images over time, to determine trends, do research, etc. The filters for movies, sports scores, music, magazines, etc. make it very easy to slice the data. labs was first introduced in 2002. The new site has an interactive design with comments and ratings and engineer profiles.